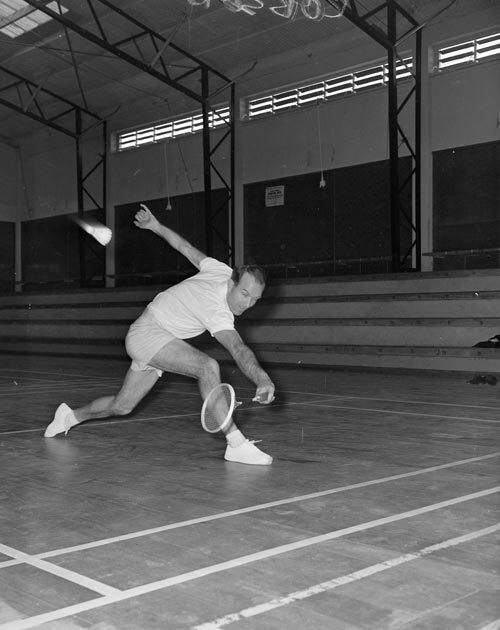 Aucklander Jeff Robson, seen here playing in Feilding in 1960, was one of the most internationally successful New Zealand badminton players. He captained the national team that competed for the Thomas Cup, the leading international badminton trophy. Skilled in more than one racket sport, he also captained the team that contested its tennis equivalent, the Davis Cup. Robson held numerous national and international badminton titles and later became a distinguished administrator of the sport, serving for 25 years on the International Badminton Federation's council.